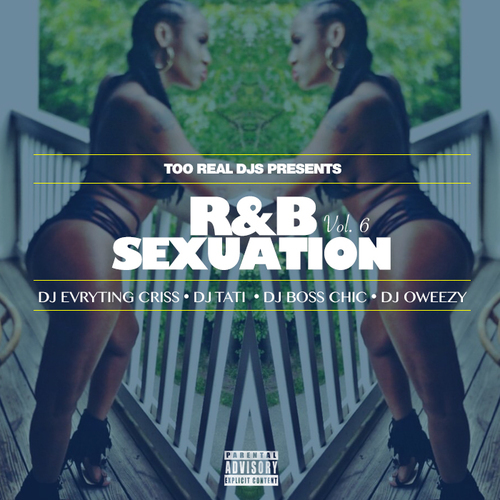 Check out R&B Sexuation Volume 6 Hosted by DJ Evrything Criss, DJ Tati, DJ Boss Chick, and DJ Oweezy Released On August 3, 2016 R&B Continued...Featuring some of your favorite artist!! Please Be Sure To Follow @DJEvrytingCriss919 @DjTati718 @DJBossChic @DJOweezy @LoverBoyVo @Im_AnthonyHayes On Instagram. Thank you for the cover of R&B Sexuation Volume 6 and hope to hear more music soon.